In 2008, God, by His Holy Spirit, led a group of individuals to begin a work in Russell County, Kentucky that would be committed to the totality of God’s Word. Such a work would be reformed and baptistic in doctrine, committed to expositional preaching, and intentional in evangelism, missions, service, and discipleship. This group held its first meeting for worship on November 30, 2008 with 57 people in attendance. The service was devoted to prayer, the singing of hymns, and the preaching of the Word. By God’s grace we continued to meet regularly and eventually established Grace Family Fellowship. God has shown himself faithful through every step of our development. As we await the Lord's coming, we depend on His continued mercy and seek to honor him through our ministry. 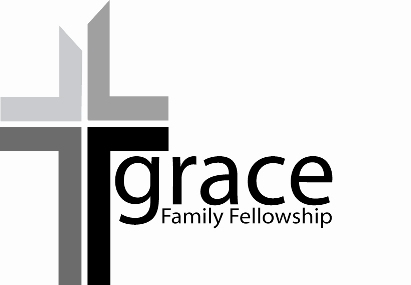 Grace Family Fellowship has adopted as its doctrinal statement the Abstract of Principles. This was one of the earliest statements of faith within the Southern Baptist Convention, drafted by the founders of the Southern Baptist Theological Seminary in 1858. We believe that it is true to the teachings of Scripture and serves as a faithful guide for us in communicating key doctrinal positions. A copy of the Abstract is available HERE. Recognizing the need for greater accountablity and to connect with other faithful churches, our pastors have led us to become cooperative churches with the Southern Baptist Convention, Kentucky Baptist Convention, and the Russell County Baptist Association. Every church within these organization is autonomous, or self-governing. However, through participation in these bodies we are able to join with other churches in supporting greater kingdom ministry than we could accomplish alone. Learn more about these organizations on our links page. We are very excited to be meeting in our new location! Join us at 170 Stephens Ridge Road, Russell Springs, KY. Worship begins each Sunday at 10am! Our worship services are recorded and broadcast weekly on Laker Country, WJRS 104.9. We welcome you to listen each Sunday morning from 9:30-10:30am. You can also listen to past sermons in their entirety by following the link to "Sermon Archives" above.